The results of a study recently published in the prestigious international journal Science Advances have enabled researchers to better understand the role of eggshells in embryo development and hatching. An eggshell is made up of both organic and inorganic matter that contains calcium carbonate. One of the important findings of the study was that the nanostructure was closely linked to the presence of osteopontin, a protein also found in bones. The objective of the study, conducted by an international research team led by Marc McKee from McGill University in Canada and involving the participation of scientists from the University of Granada (UGR), was to analyse the nanostructure of chicken eggshells. The findings could be used to produce healthier, more robust eggs by providing researchers with the means to genetically select laying hens with specific characteristics. Eggshells are strong enough to resist fractures during the incubation period. However, they gradually weaken as the hatching period approaches to make it easier for the chicks to break through the shell. The eggshell weakens as its internal layer dissolves, releasing calcium which, in turn, is needed by the embryo for bone formation. The study found that this process is a result of the changes that occur in the eggshell nanostructure during the incubation period. Furthermore, the researchers were able to create nanostructures similar to those they discovered in the eggshells by using proteins, specifically by adding osteopontin to mineral crystals grown in the lab. The team writes, "A better understanding of the role of proteins in the calcification process that strengthens the eggshell structure could have significant implications for food safety." 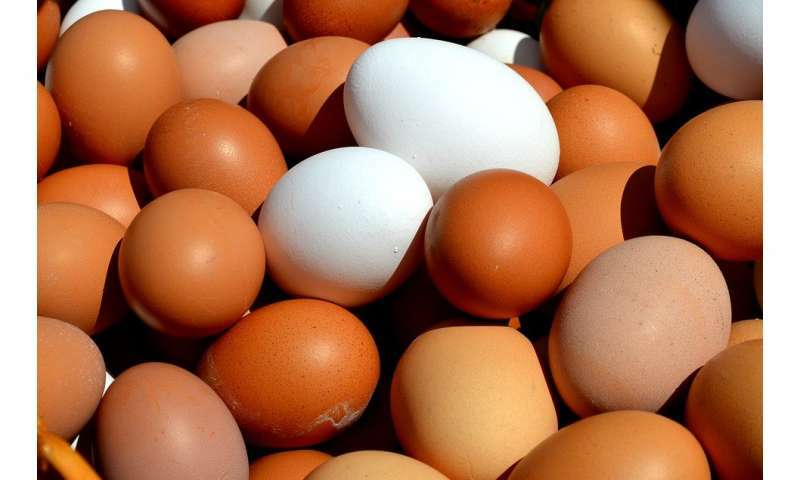 According to the team, which includes Alejandro B. Rodríguez Navarro from the Department of Mineralogy and Petrology (UGR), approximately 10 percent of all eggs break or crack before consumption, which increases the risk of food poisoning and infections such as salmonella. Understanding how the different mineral nanostructures contribute to strengthening the eggshell could allow scientists to genetically select laying hens based on specific traits, which would put healthier, more resistant eggs into circulation. How strong is an egg?